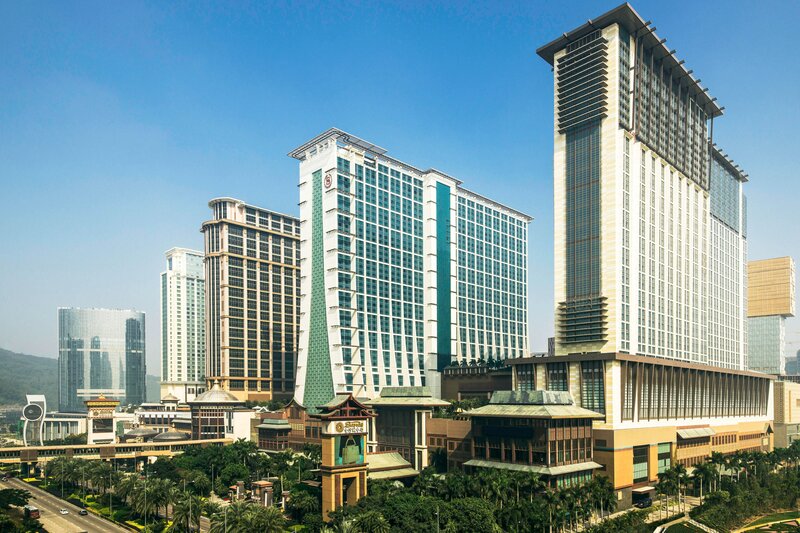 Ensconced in the city center, The St. Regis Macao, Cotai Central is a mere stroll away from indelible historic landmarks and over 600 exclusive shops. Enjoy exceptional views from the Macao Tower observation deck, the highest point in the city as well as dynamic nightlife. Savor prime meat, seafood and Portuguese cuisine at The Manor, our Oyster Bar and Grill or sip Maria do Leste, our interpretation of the Bloody Mary at The St. Regis Bar. 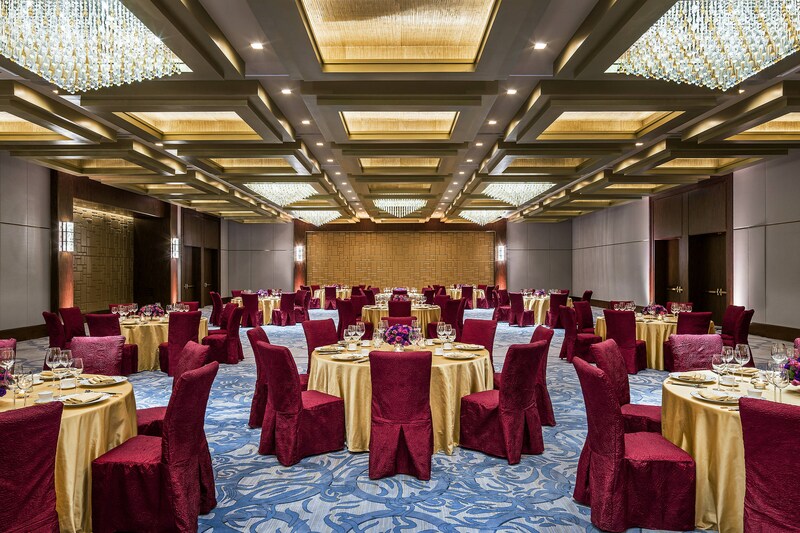 Our Iridium Spa and outdoor pool offer a relaxing sanctuary while 1,300 square meters of exquisitely appointed meeting spaces, including the Astor Ballroom, provide an elegant setting for any occasion. Traditional Chinese elements blend with sumptuous furnishings in each of our 400 guest rooms, including 122 suites. 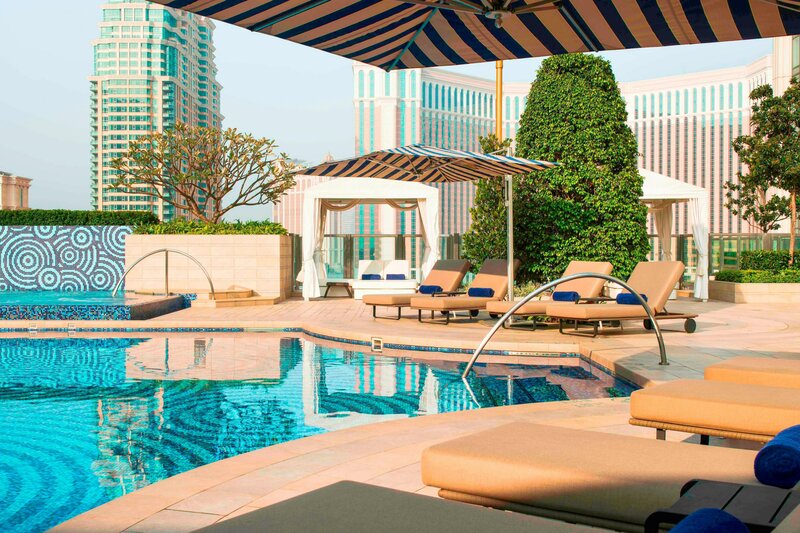 Each accommodation boasts captivating views of the Cotai Strip and marble bathrooms with signature Remède amenities. The St. Regis signature Butler service is available to all guests. More than just a beautiful hotel, The St. Regis Macao is an impeccable union of classic motifs and local Macanese inspiration. 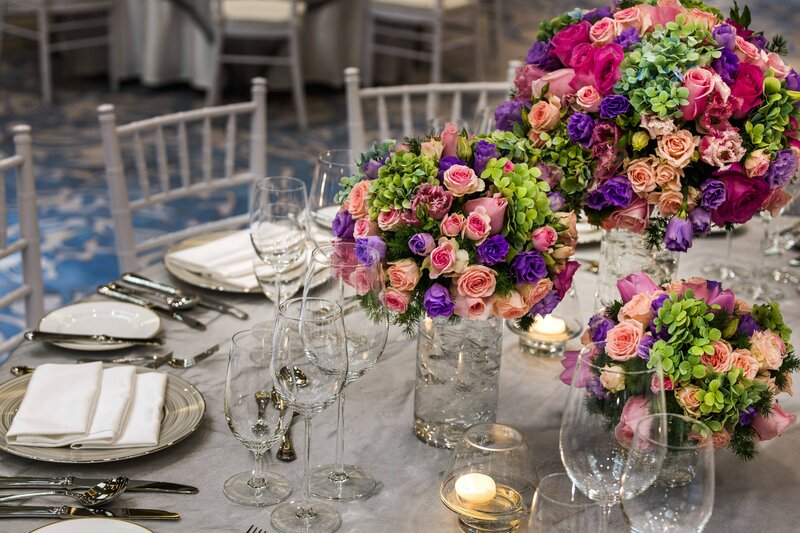 A wedding at The St. Regis Macao is the art of celebration. 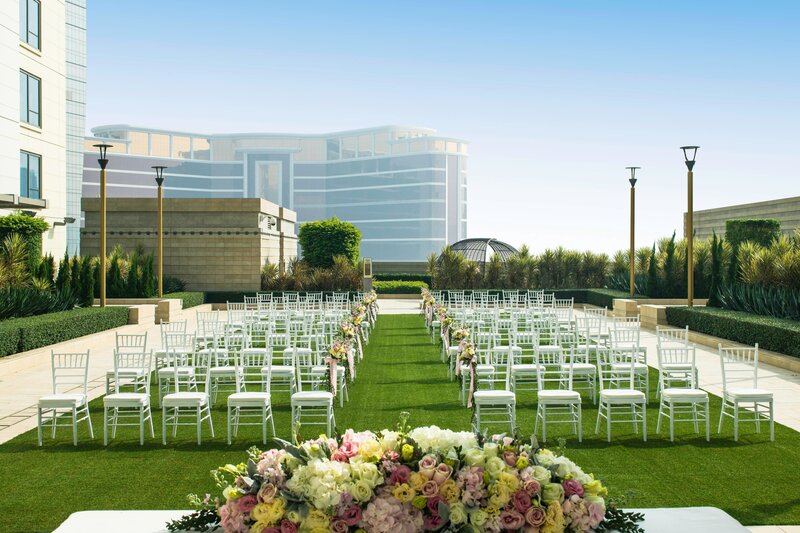 Our exquisite outdoor venue offers the perfect setting to bring your dream wedding to life. The Manor is our signature Oyster Bar and Grill serving a variety of premium oysters and perfectly prepared prime meat and seafood. A stylishly appointed venue with five distinct areas, The Manor is perfect for every occasion. 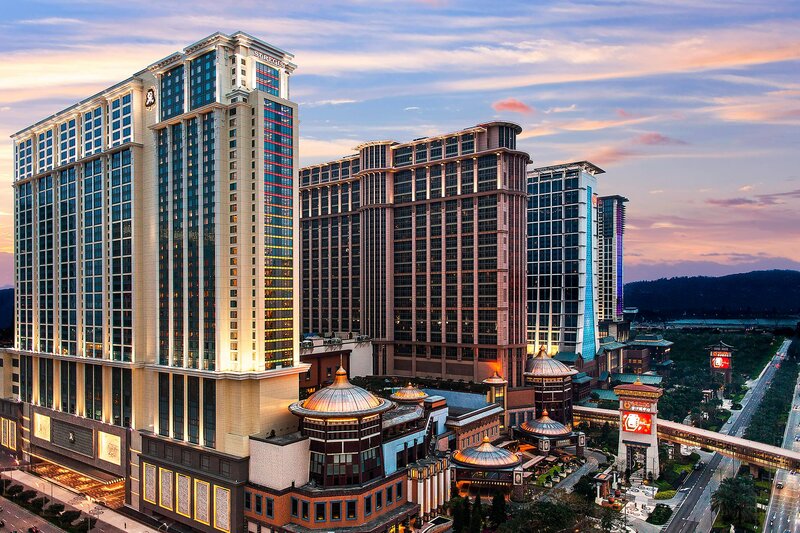 The Cotai Strip, also intimately known as Asia’s Las Vegas, is the dazzling city centre for the elite. The St. Regis Macao, Cotai Central is located in the middle of this coveted strip, with the gathering of the world’s most illustrious brands in retail, gastronomy and world-class entertainment.